This kraft shopping bag paints a picture of the 1990s news scene with stories and ads from old newspapers. 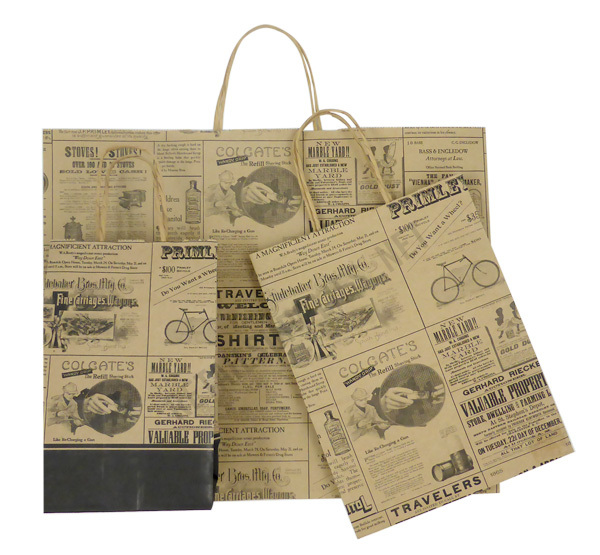 Use these Newsprint shopping bags to create a neat feel in your retail store. Measurements: Toucan Size- 5" x 3" x 8"